Every morning one of the first things I do is open the front door and pick up the Seattle Times that’s been delivered. (We’re old-fashioned that way!) When I scan the paper I don’t need to tell you that what experience is a lot of bad news. It’s not all bad news, but there’s enough each day that over time it can have the effect of wearing down a person’s trust of other people. 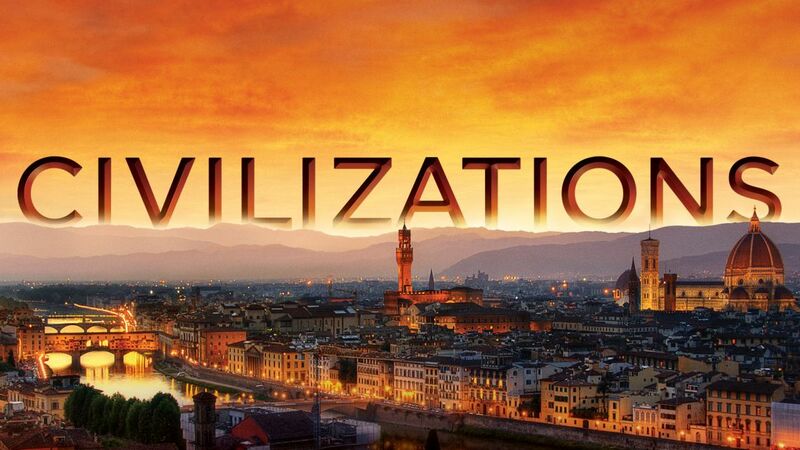 My wife and I have been enjoying a TV series called Civilizations. It’s about the world’s civilizations through the ages and how they came to be. One thing all the great civilizations have in common is the ability of human beings to trust one another and cooperate with one another so that everyone benefits. When civilizations fall it’s mostly because the trust between people collapses. Through this program, my wife and I learned that human beings are naturally trusting; or, at least we long to trust one another. I know I was a little skeptical to hear that (not very trusting!). I can think of many times in my own life that I’ve been wary, skeptical, cautious, suspicious of other people and their intentions, often because a situation or person or idea is new or unexpected. But our latest science insists that human beings are naturally trusting. We want to trust each other because over many thousands of years our ancestors discovered that one of the keys to prosperity and security and even survival is cooperation, built on the willingness of people with many differences to trust each other. All of this spoke to my heart this past week as I was studying the readings for today, which also speak of trust. [Jesus said,]If I have told you about earthly things and you do not believe; how can you believe if I tell you about heavenly things? No one has ascended into heaven except the one who descended from heaven, the Son of Man. And just as Moses lifted up the serpent in the wilderness, so must the Son of Man be lifted up, that whoever believes in him may have eternal life. “For God so loved the world that he gave his only Son, so that everyone who believes in him may not perish but may have eternal life. In this passage from John the word “trust” is not used. But the word “believe” is used several times, and in the New Testament “believe” usually means “trust.” When you and I speak of believing, we’re thinking of ideas and convictions. But when the writers of the Bible speak of believing in God, believing in Jesus, they aren’t talking so much about ideas or convictions about God. When they speak of believing, they mean trusting. It’s not about ideas. It’s about relationships. Today, and every year on the first Sunday after Pentecost, is Holy Trinity Sunday. It is a celebration of nothing less than the very nature of God, which is revealed to us as three very different entities, bound together by love in such perfect harmony that they are One. In the mystery of the Holy Trinity we remember that God is not an individual. God is community. In the Holy Trinity we find that freedom is not about endless personal choices. True freedom is experienced, as Jesus taught and showed by the example of his life, in freedom from fear–in a willingness to lay down one’s life for the sake of others. But there’s a problem here. In our reading from John’s gospel Jesus describes the nature of the Holy Spirit:’ The wind blows where it chooses, and you hear the sound of it, but you do not know where it comes from or where it goes. So it is with everyone who is born of the Spirit.” The Spirit blows where it will. Isn’t trust about relying on what is predictable? If belief in God means trust in God, how can I trust something—or someone (like the Holy Spirit)—that is unpredictable? May is one of my favorite months of the year. God’s creation is revealed in all its rich and diverse splendor. And every year in May Minjing and I enjoy the Seattle International Film Festival, the largest film festival in the country, with over 400 films from around the world. Also, this weekend and every Memorial Day weekend, is the Northwest Folklife Festival, featuring rich and diverse music and food offerings. We are blessed with abundant opportunities to experience rich diversity in what might seem to some people reasons for discomfort and fear. But as St. Paul writes in his letter to the Romans, You did not receive a spirit of slavery to fall back into fear, but you have received a spirit of adoption, the assurance that we are indeed children of a gracious and loving God. The gospel answer to fear of people and ideas that are new and different is, “Get closer.” Instead of running away or avoiding that which is new and different, get closer! We don’t build trust by running away, either from God or from one another. The Spirit blows where it will. We don’t know where it comes from or where it’s going. It’s out of our control. But the three persons of the Holy Trinity do not try to control one another. Trust is not about control. Trust is about love. In the Holy Trinity we find the key to our own salvation, meaning, our own freedom from fear. When we encounter people and ideas that are new and unfamiliar, get curious. Get closer. For the world in which we live, the nation in which we live—and its leaders–differences are reason for suspicion and fear. Can you imagine a world in which human beings live by our natural trust and not by fear? Maybe you’re not someone who revels in the awesome beauty and rich diversity of the natural world. Maybe you’ll never attend an international film festival. Maybe you’ll never experience Northwest Folklife. But guess what—you’re here! Week after week you return. Here you participate in worship, song, study, fellowship and meal. Here you not only catch a glimpse of but imitate in some small way the love of the heavenly parent who has given you life and brought you to this time and place in history. When God’s children gather for worship, we are making a choice not to run away in fear of what is new and different but to get closer. This is the beginning of belief, the beginning of trust. A week ago, on the Day of Pentecost, God’s people gathered and heard again the assurance of God’s love, spoken simultaneously in different languages. Here God’s diverse people gathered in a circle, sharing a simple meal of bread and wine, cracker and juice. Afterwards, God’s people gathered for another meal of dishes from around the world. In these simple rituals and practices we not merely call on God to be present but declare that in the gathering of God’s diverse children we see a reflection of nothing less than the very nature of God’s own diverse self, the Holy Trinity. Human beings, science tells us, naturally long to trust one another. To believe in God is to trust in God, starting with trust in God’s children. It is here at worship that we remember who we are, and from here are sent into the world, planting seeds of trust, seeds of love in the world God so loves!